Wix and WordPress are two of the best ways to build a website. Wix is a powerful website builder. 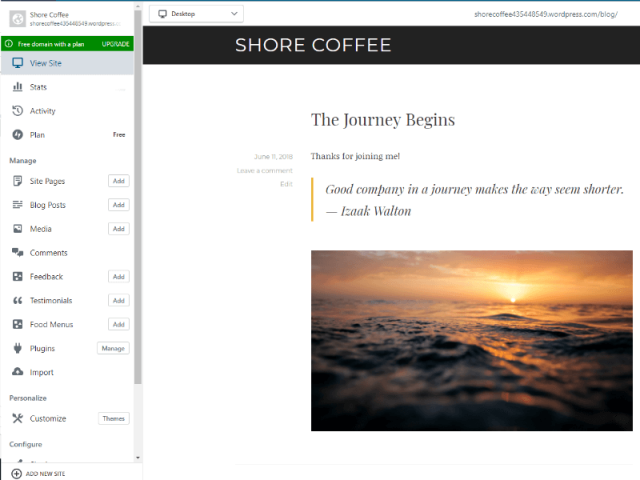 Using a drag-and-drop editor and preset templates, it makes building a great-looking website straightforward. WordPress, on the other hand, offers less individual template customization, but has a fantastic post and page management system. In fact, around 30% of the entire internet uses WordPress, thanks to how easy it is to create and edit pages and posts. On balance, we think that Wix is the better way to build a website, thanks to its greater level of customization and the ease with which you can add extra features to your site. WordPress does have the advantage when it comes to building blogs and journalism websites, but Wix is ultimately a more versatile builder. Here at Tech.co, we put every website builder through a rigorous testing and reviewing process to find the best software for your needs. We compare everything from the range and quality of features to the pricing plans of each website builder, as well as the results of actual user testing. Wix or WordPress – Which is Best? Here’s a more detailed rundown of how Wix and WordPress stack up in different areas. Wix has a better range of free templates – Wix offers over 500 templates across a wide range of industries, at no extra charge. WordPress offers almost 300 free templates, and almost limitless paid-for templates. WordPress is better for blogging – Unsurprisingly, WordPress has a better range of blogging specific features, including blog post categories, blogrolls, and searchable posts. 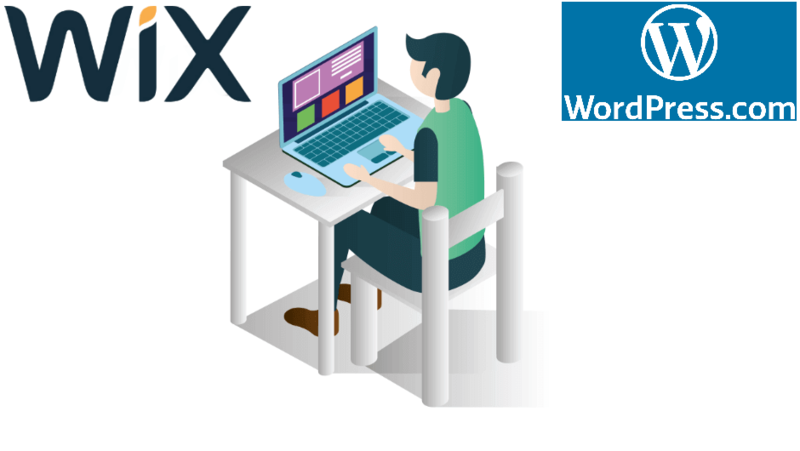 Wix has better customer support – Wix offers dedicated customer support through a variety of channels, while WordPress leans heavily on its large and knowledgeable user community. As one of the leading website builders, Wix is a fantastic choice for anyone looking to build any type of website. It has brilliantly designed templates that work across a range of industries, which can be easily customized and adapted with different elements. Wix will also build your website for you with its impressive AI-powered ADI technology. Simply enter a few details about the type of site you want to build, and Wix’s software will take care of the rest. Wix’s huge first- and third-party app store means that if you can’t find the function you’re looking for baked-in by default, you can easily find an app that will help you do it. Wix is also one of the more affordable website builders on the market. Its pricing plans start from just $8.50 per month if you go for a 3-year deal. Plus, it has a range of dedicated ecommerce pricing plans, so you don’t pay for features you don’t need. As we mentioned above, almost one-third of the internet uses WordPress because of its straightforward and powerful content management system. This makes WordPress an ideal choice for blogging or publishing sites, which require lots of individual posts and pages to be created frequently. WordPress also has a huge user community. This means that you can get support from other users if you run into problems. That huge community also means you can buy loads of third-party themes and templates to make your website look brilliant. WordPress is also very affordable as a website builder. The cheapest plan starts from just $4 per month, while its $25 per month Business plan undercuts much of the competition with its unlimited storage, advanced SEO tools, and Google Analytics support. WordPress’ powerful post management system makes it the perfect platform for blogging. It’s super easy to add and edit text, as well as embed images, videos and other media, using the regular text or code views. WordPress makes it super-easy to attract users with powerful SEO tools, and then monetize the visitors through straightforward advertising tools. 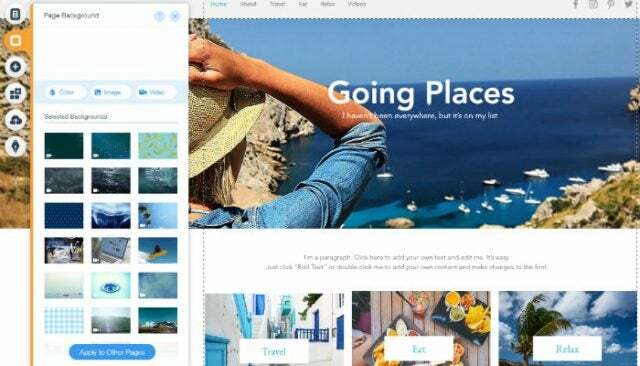 While WordPress is easy to use, Wix makes it easy to create all types of websites thanks to its fantastic templates and easier drag-and-drop editor. There are templates ready-to-go for all sorts of sites. Running a restaurant and need to create a site to promote it, as well as host a menu and contact details? Wix can get you up and running in moments. It can also help you create a personal blog, sports club site, or ecommerce site to sell things online (more of that below). Wix makes it easy to change the design of all aspects of your site through its intuitive drag-and-drop editor. Its what-you-see-is-what-you-get approach means you won’t have any nasty surprises when you publish new pages or content, either. Combining powerful ecommerce plugins and versatile templates, Wix has WordPress licked when it comes to ecommerce. In fact, Wix even has ecommerce specific pricing plans to really make it easy to sell products online. You can sell products online with WordPress, but Wix’s tools are much more powerful. For example, you can add plugins which allow stock tracking, accounting and shipping, to make sure your burgeoning ecommerce empire runs smoothly. What’s more, Wix makes it easier to add lightboxes and popups to entice users to buy. If you’re more familiar with website builders and the world of websites in general, you might find that WordPress is a better fit for you. While Wix is designed to make the experience of getting online super-easy, WordPress is a piece of software that really allows you to revel in the detail of website design. With WordPress, you can easily access much of your website’s code, and make changes to it too. In fact, you can even choose a self-hosted version of WordPress if you really want to get into the detail. Overall, Wix is the better website builder for most. Its increased versatility makes it an ideal choice for most users. While WordPress can build a variety of websites, its blogging-centric approach leaves something to be desired for other types of site. Wix, on the other hand, excels at business sites and ecommerce sites, and can even make a decent blog. If you want to build a website, you should make it with Wix.